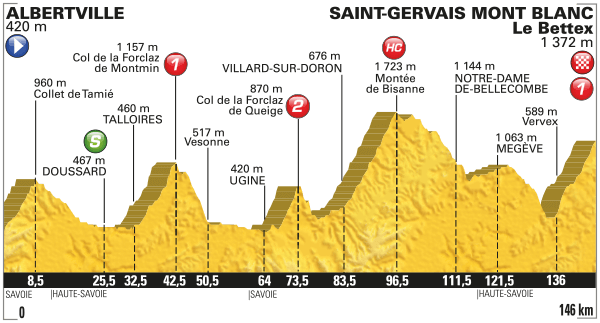 This is, increasingly, what the Tour de France amounts to. You should never, ever discount a twist in the mountains, but if there is a script, the final time trial stuck to it. I’ve not much to report really. Chris Froome won; Tom Dumoulin was a very respectable second; Fabio Aru and Richie Porte were 33 seconds back; Nairo Quintana was 10th, 1m10s down; and Bauke Mollema and Adam Yates stay second and third respectively after each losing one minute twenty-odd. Yates offered the most insightful post-stage assessment. “It’s pretty normal to be tired, I suppose,” he said. The Bury lad has a 21 second advantage on Quintana in fourth, but you wonder whether his podium spot is under greater threat from Porte who is 44 seconds back in sixth. Romain Bardet fills that fifth-placed gap, if you’re wondering. The final summit finish of the race (although there’s still an incredibly tough mountain stage to come). The climbs are irregular and often steep and seem more like the kind of thing you get in the Pyrenees rather than the Alps. If Alberto Contador were still in the race, he’d probably have attacked on the first climb and tried to make a mess of things for everyone. Unfortunately Alberto Contador is not still in the race. Where he cares about coming first and nothing else, everyone else would be quite happy to finish on the podium. 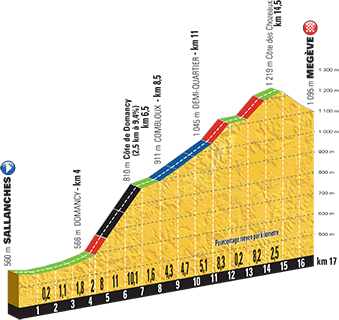 This means no-one doing anything until the final climb – even though they’re fully aware that this is the point at which Team Sky will ride so hard that no-one can attack. Delicacies of this region include all that cheese-based fare from yesterday, plus génépi, a herbal liqueur. Chris Froome is the fastest climber – how’s his endurance? That was a great call about Porte you made last week as he is the only one even close to Froome right now, if he hadn’t had mechanical issues he would be a clear second right now. I was just thinking that with nearly 80 hours of racing done the fact that we regard a gap of minutes as a ‘blowout’ says a lot about how good all of these guys are. Sky looks unstoppable. It’s also worth remembering that just because something looks unlikely, doesn’t mean it can’t happen. I well remember Tom Dumoulin shedding minutes on the final stage of last year’s Vuelta a Espana. You wouldn’t think that could happen to Froome, but if he has a bad day – and it can certainly happen – serious gaps can open up by this point in the race.